Full service interior design studio and consulting firm specializing in residential, commercial and hospitality projects around the globe. We create transformative spaces that take inspiration from their surroundings unlocking new experiences. We focus on a holistic approach that includes everything from the design of the spaces to the furniture design. 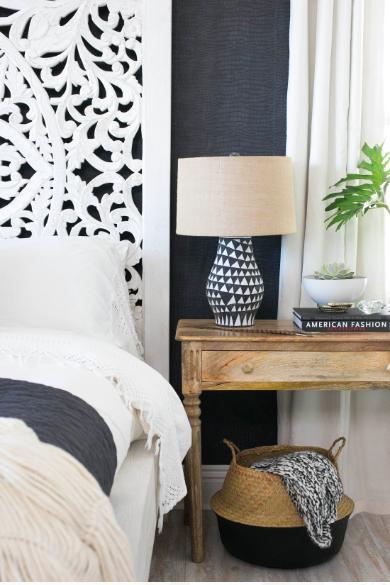 ARI created this Bali Boho inspired master bedroom retreat for a newlywed couple. With the intricately carved bed taking center stage of the room the faux crocodile wallpaper creates an unexpected backdrop that adds a modern spin to the earthy space. Previously filled with wall to wall carpet and cubicles, ARI re thought the space to give the hospitality company a work space that reflected the young and free spirited brand. Leading the creative direction and design for this 169 unit office conversion/ hotel project in NYC for hospitality company Sonder. ARI reimagined the center of the home by remodeling this eat in kitchen giving it a casual elegance while allowing the spectacular view to take center stage. We gave this vintage Miami retreat a new fresh look. Inspired by the Art Deco architecture and bright colors of the exterior, ARI gave this hotel a tropical look with bright aquas and pinks laying the foundation. Surrounding a poolside retreat this Miami compound is the perfect getaway. Lets be friends. Meet us over on instagram!